This happened on Stockholm Arlanda (ARN) when I was waiting in queue for check in, and by one of the security personnel that inquired about my business in USA. Does this have any special meaning? Why would they do it anyway? Can I take it away before I leave the country, or should it stay on? I can give an answer to this because this happens to me very regularly, for a good reason. Typically for holders of US / UK / European / Australian / NZ passports, a wide range of countries do not require a visa in advance, or often issue them on arrival. If you're travelling within North America or Europe where these visa rules are well-known, an airline simply checks you in. The security clearance sticker is used whenever the airline has a liability to carry you back to your origin in case you're denied entry. Many countries require you to pass through passport control both when leaving and entering the country. In UK and Europe however, passport control is done at many airports only when you enter the country, not when you leave. I hold an Indian passport, which means that for most destinations I need to get a visa. If I ever end up in a situation where I go to a country and I'm denied entry, the airline is obligated to fly me back. For this reason, airlines run their visa checks for passport holders whom they know need a visa, and upon validation, they paste this sticker. Don't take this sticker off until you reach your destination because in case of any queries - for instance, staff at the boarding gate may want to confirm your visa status - airline staff check for this sticker to see whether you've been cleared for boarding. ICTS International (that's the corporate name; at airports, I've seen employees wearing badges that read 'i-Sec') is one of those companies that a lot of airlines hire out this task to; another company that airlines outsource this task to is CheckPoint. Some airlines carry out their own checks and use the same sticker system too. 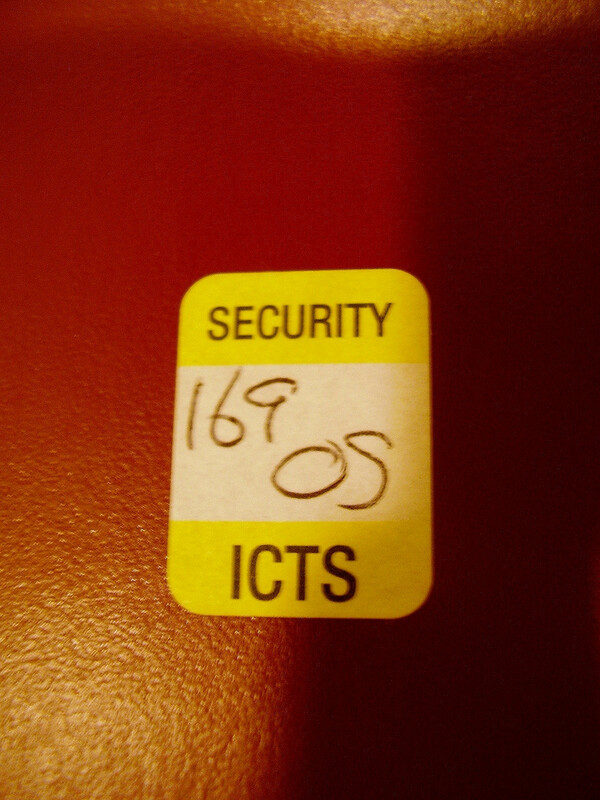 It says "ICTS", so this was attached by the company providing security services for certain airports in US. This is probably to mean that you have undergone security checks and had passport checked there. I had similar stickers attached to my passport when travelling in China, as well. Not the answer you're looking for? Browse other questions tagged usa passports airport-security paperwork or ask your own question. The barcode sticker which VFS in India puts on the back of my passport got damaged by water. Will this cause me problems upon re-entering India? What does “UOPI” on a US passport stamp mean?